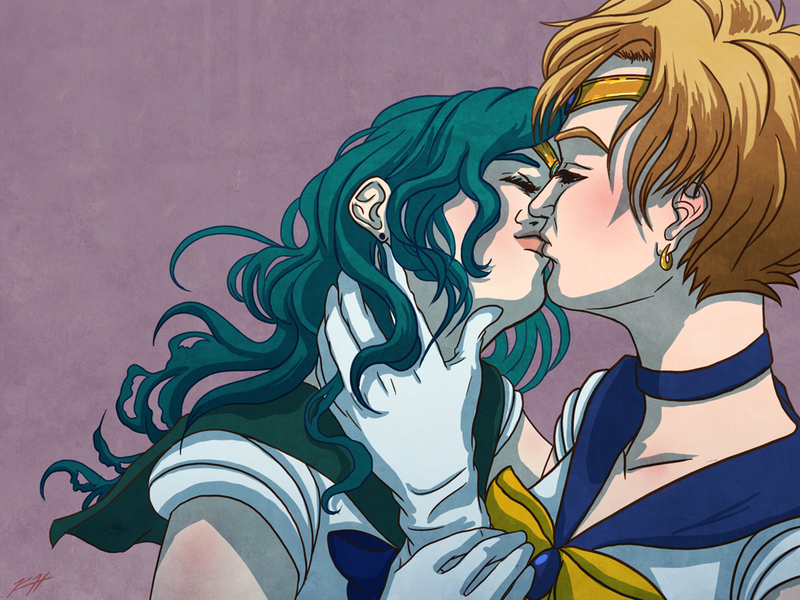 Thee greatest Lesbian-Heroine-Couple-of-All-Time: Sailor Uranus and Sailor Neptune from Sailor Moon (also known as shameless fan-service). I'm on a massive Sailor Moon nostalgia kick (and apparently it's old/retro enough now to be made into t-shirts at places like... Hot Topic? man...I'm old). DEAL WITH IT. 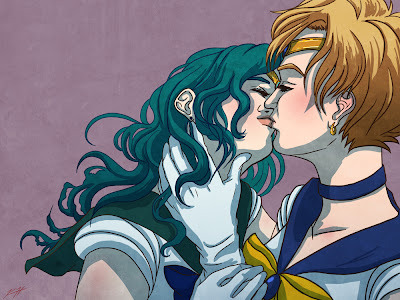 So if you've never seen the show, hey, that's okay: These two were a fairly obvious lesbian couple (90% of their dialogue contained sexual innuendos towards each other AND IT WAS AMAZING). Other than that they were just perfect together in everything they did. Thing is, when the season containing these two characters was brought over and aired for American Television, they dubbed them in as COUSINS. ...How awkward. Good job, America.